When Is Missouri Medical Marijuana Registration? Missouri residents have been waiting for medical marijuana in their state for over half a year. One of the biggest hurdles that the industry faces is when the Missouri medical marijuana registration will open and what exactly will happen for patients when it does. We break down the entire process. Amendment 2, which legalized medical marijuana in Missouri, was passed on November 6, 2018. The law went into effect on December 5, 2018, but no one has yet to step foot inside a Missouri medical marijuana dispensary. This is because lawmakers are still working hard to hash out all the details of the newly minted medical marijuana law. In fact, they have recently conducted some research to determine just how many medical marijuana patients Missouri will have. Many of the licenses are not even available yet, though, and won’t become available until August 3, 2019. At that point, cultivators, dispensaries and processors will be able to apply for licenses. The state anticipates that product should begin being sold in licensed dispensaries around January 2020. Patients can see a licensed medical marijuana doctor, like those at Green Health Docs, whenever they’d like. 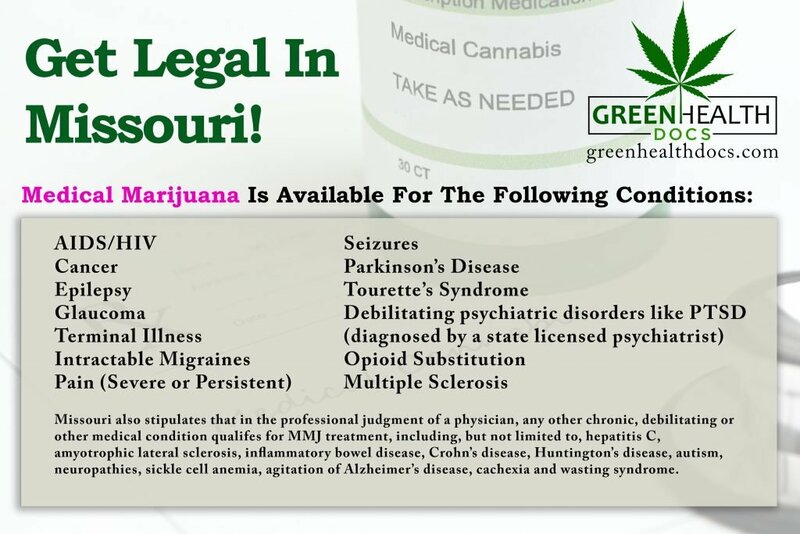 You can review our Missouri medical marijuana FAQ for qualifying conditions. You’ll also find a breakdown of what you need in order to have your Missouri marijuana card evaluation from one of our licensed physicians. The state of Missouri’s official recommendation form will be made available on June 4, 2019. 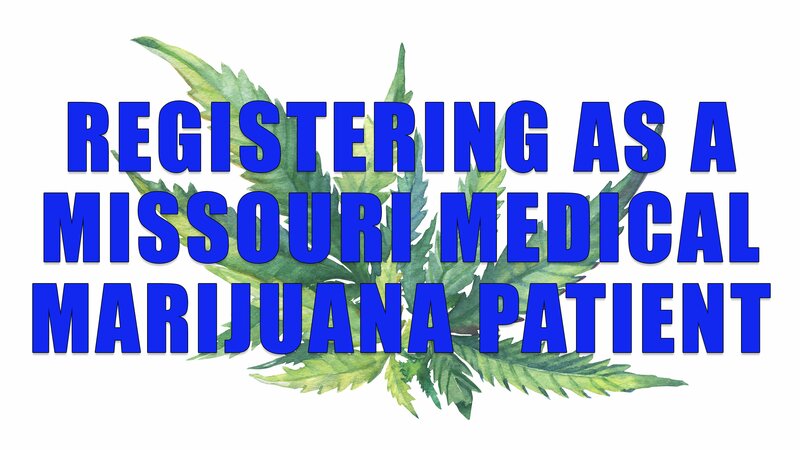 This is roughly 30 days before the official Missouri medical marijuana patient registration goes online on July 4, 2019. At this point, the state will begin accepting patient recommendations and issuing cards. Registering your medical marijuana recommendation should be easy. Registration will be active on July 4, 2019. Patients should be able to access a web portal through the Missouri Department of Health & Senior Services. At that point, a patient would register their recommendation. The state will then evaluate the recommendation and issue a card. 1: You must visit a state-licensed physician (not a nurse practitioner or physician’s assistant) to obtain a physician certification. 2: Apply for an identification card from the Missouri Department of Health and Senior Services (starting July 4, 2019). 3: Once your application is approved and you receive your identification card, purchase medical marijuana from a state-licensed dispensary. Why Should I Get A Missouri Medical Marijuana Card Now? Getting a card early means that patients will be the first to access medical marijuana once dispensaries open. Dispensaries are expected to sell a variety of products, from dry flower to tinctures, edibles, creams and oils. While it may take some time for cultivation to get underway, patients have another alternative. Missouri also allows home grows, which enables any potential patients to grow their own marijuana. This stipulation is limited to six plants. However, this allows any patient who is suffering greatly to be be able to get legal and get growing as soon as the state allows home grows. Details for home growing are scant at this time, so stay tuned for more updates. Missouri is currently hashing out their own laws, so it may take a few weeks until we know more. In the meantime, you can submit your own comments about Missouri’s draft rules by clicking here. When Should Missouri Residents Expect Legal Cannabis? 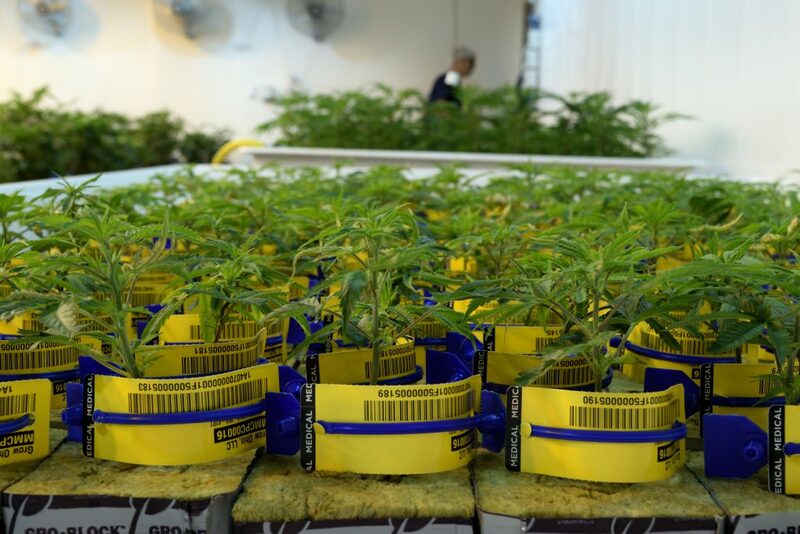 The earliest patients could reasonably be able to grow their own cannabis is likely by the end of the summer. The earliest Missouri residents will be able to buy from medical marijuana dispensaries is looking further away. The state suggests that residents should begin seeing companies around January 2020. That being said, several states (including Ohio) have run into copious delays, which set their program back by half a year. It is possible that dispensaries could arrive closer to spring 2020. As always, if there are delays, watch this space and we will keep you informed. Delays are inevitable for a variety of reasons, but if all goes smoothly, 2020 is looking to be a good year for Missouri medical marijuana. The industry is eager to arrive and begin planting their roots. And our staff certainly knows that St. Louis and Kansas City residents have been lining up to get their medical marijuana evaluations. Get yours today by calling (314) 282-8017.